The Yellow Emperor (1963) said: 'After the person's connection, the Jing is first composed. Then the Jing composes the brain and the bone marrow. The bones become the Stem, the vessels become the Ying, the muscles become firm. The flesh becomes a wall, the Jing is hard and then the hair and body grow'. 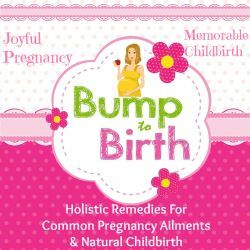 The chapter on preconception discusses the importance of getting healthy, regulating periods and correcting imbalances before becoming pregnant. In my experience, a woman's physical and emotional state when she enters pregnancy will have a huge effect on the outcome of that pregnancy. Pregnant women should eat nourishing foods that are easily digestible. They should avoid pungent and spicy foods, and excessively cold foods (such as ice cream) that can cause Cold in the Uterus (see Ch. 3). Especially important are any persisting conditions such as Blood deficiency, Yin deficiency, Kidney deficiency or Qi stagnation.